Family Medicine plays an important role in providing a variety of acute, preventive and immediate health care services. At PrimeMed, our primary care physicians treat family members of all ages, from pediatric to geriatric, offering a full range of medical services to include the diagnosis and treatment of diseases and injuries. Family practitioners also play a key role in determining whether you or a loved one needs to be referred to a medical specialist or surgeon for any additional procedures. If surgery or other interventions are required, your family doctor is always here for you to provide expert outpatient services and physical rehabilitation. You will appreciate the caring nature of our health care professionals and the relationships your family will form with everyone at PrimeMed. 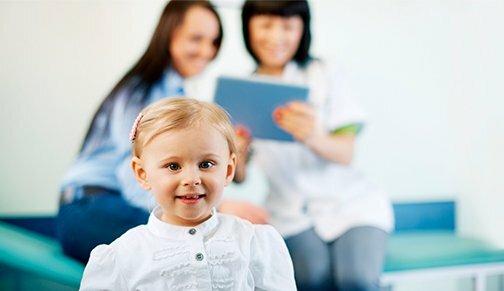 At our family medical practice in Jacksonville, practitioners are trained in all areas of medicine to diagnose and treat a broad range of problems. Our goal is to ensure you and your loved ones always receive the quality care you deserve to include preventative medicine, physicals, vaccinations, wellness screenings, therapies, healthcare procedures and treatments. With over 35 years of family care experience, our medical staff is expertly trained to help each member of your family make the very best healthcare decisions. By understanding the special circumstances of each patient, our Board Certified Family Physicians and Certified Physician Assistants can treat the whole body and not just the symptoms or cause of your problem. If you're looking for a multi-service family medical practice in Jacksonville or Orange Park, call PrimeMed today. Our world class team, cheerful environment and extended office hours will speed you on your road to recovery. NOTE: PrimeMed accepts all major HMO's and PPO's including BCBS, Aetna, Medicare, Tricare, Avmed, Humana, United Health Care and Cigna health care insurance. In addition, we accept all auto insurance coverage for accident related injuries.